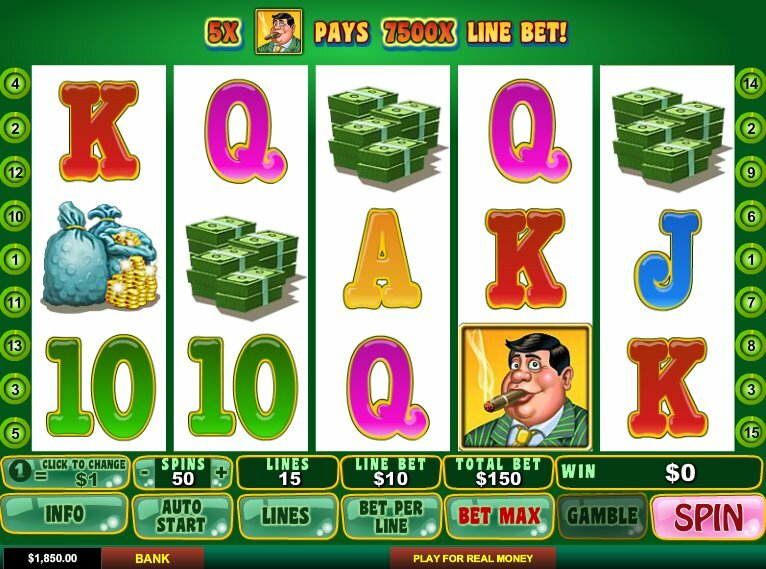 Some online slots take a few moments before you get the big ‘hook’ – is it the jackpots, the storylines, the bonus features, the graphics? 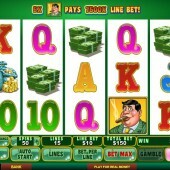 Well, with slot developer Playtech’s innovative Mr. Cash Back slot, the hook is right there in the title. Doing exactly what it says on the tin, Mr. Cash Back offers players a unique feature: the chance to win some of your lost money back. So, how can you hedge your bets and claim some hard-bet money back? Well, when an active payline doesn’t bag you any cash for 50 spins in a row, the ‘Cash Back’ feature will trigger. That’s when you’ll get back as much as you’ve invested – 50x the payline bet. Not only that, the feature remembers the status of the payline when it’s not active, and kicks back in when reactivated. So far, so innovative. But what about the regular features? Well, in this 5 reel, 15 pay-line slot, you’ll find a tasty range of bets ($0.01 to $5), big jackpots, and the usual Wilds and scatters. The graphics are basic but then when most of your attention is on the cashback element, we’re not talking about any other kind of hook here. Symbols include the familiar 9 through to Ace symbols, a piggy bank, a pile of notes, a stash of gold coins, and the bewigged titular Mr. Cash Back himself. As you’d expect, the toupee’d wonder acts as the Wild and replaces all other regular symbols, except the scatter in the normal game. Get five of the smiling chaps and you’ll bag the jackpot – 7,500 coins. The scatter, meanwhile, is the game logo. Get three or more of these and you’ll get 12 free spins with a 2x multiplier. That sounds good, but what’s great is that the game will randomly freeze the Wilds during this round for between one and four spins, and they do substitute any symbols. Mr. Cash Back really is the giver who keeps on giving. OK, so the graphics might not exactly set the world alight, but Mr. Cash Back’s unique special feature is great for those who like to bet big and give themselves the chance to win a little back from the banker. And how often can we say that line in these troubled economic times? For fans of innovative gameplay, consider trying out NetEnt’s Western-themed slot, Wild Turkey. If you’re keen on money being the theme, rather than just the goal, of your slots evening in, however, dive in to the heady progressive jackpots of Microgaming’s medieval-themed slot, King Cashalot.